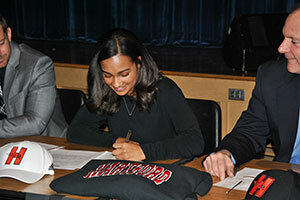 Warwick Valley High School senior Gabriela (Gaby) Gamory signed a National Letter of Intent on Feb. 1 to attend the University of Hartford and to participate on its women soccer team. 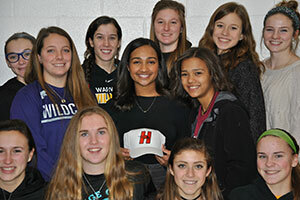 She will attend the university on a Partial Athletic Scholarship and a Partial Merit Regents Scholarship to aid in the cost of tuition, room and board. Gaby plans to major in Biomedical Engineering. Gaby is the daughter of Mary and Tim Gamory (91’) of Warwick. 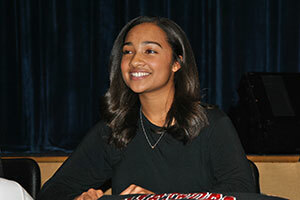 Her sister Mayte is a 2015 graduate and a student at The College of New Jersey, while her sister Taina is a student–athlete in the Warwick Valley High School Class of 2019. 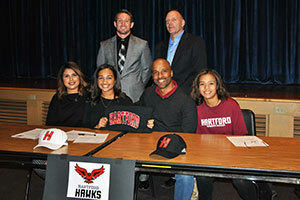 She was recruited by University of Hartford Head Coach, John Natale. The University of Hartford competes in the America East Conference along with Binghamton, University of New Hampshire, Maine, Albany and University of University of Maryland Baltimore County. 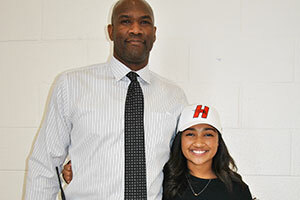 Gaby chose the University of Hartford over Manhattan College, the University of New Haven and Marist College.